15th Annual Spring Auction Extravaganza-Day 2 | Lulich Auction & Realty, INC.
We are excited to announce our 15th Annual Spring Auction Extravaganza. Accepting Consignents. One piece or collection. 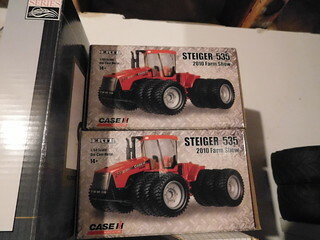 We are expecting over 400 Farm toys, Farm Tractor and Imp Literature, MF-MH-IH parts catalogs. Friday will feature a mix of toys from the 50's-70's. Games, Tonka, movie and cartoon related items.